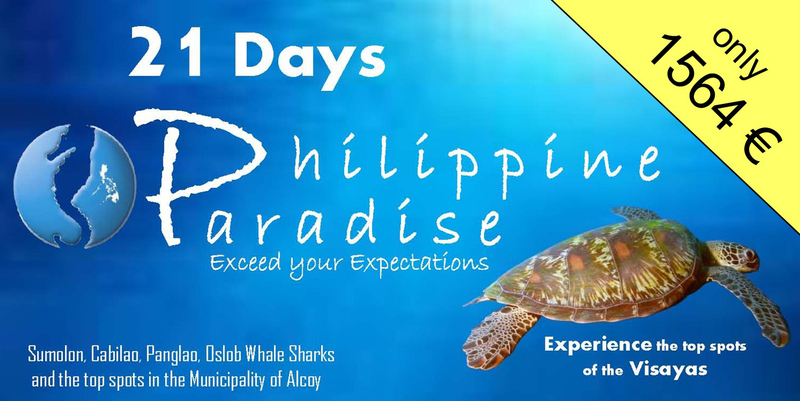 The Dive Point Alcoy is located nearby the Tinko Beach in Alcoy, a town in the south-east of the island Cebu. The SSI dive center offers besides the regular dive trips also all education steps beginning with an open water class up to instructor trainings. It is also possible to start your education in a dive center in Germany and to finish it at our side on the Philippines. Our dive center is managed by the experienced SSI Instructor Joachim Ebersbach. He is assisted by a Philippine boat and dive crew, which is part of their team since the opening of the Dive Point Alcoy in 2006. The whole Dive Point Alcoy crew consists of 13 permanently employed members. Our dive center fills the 80 aluminium tanks (12 liters), 10 steal tanks (7 liters) and 6 aluminium tanks (15 liters) with a L&W 230 E compressor or with a flexible L&W 245 B compressor with compressed air or NITROX. We offer DIN and INT valves. You don’t need to bring your own adapters, we have a sufficient amount of adapters in our dive centers which we will borrow you without any charge. Medical emergency equipment and oxygen are also available at our dive center and during our day trips. We also bring mobile phones on our day trips. Besides that you are free to buy some other dive items like education materials, safety buoys or polo shirts in our dive shop. Outside the dive center we offer showers, a possibility to clean your equipment after every dive trip and a lattice box to store your equipment during day and night time. Before and after our dives we meet you in front of our dive center on our with palm grass covered terrace for briefings or cold drinks (or a beer after the dive!). The decompression chamber in Cebu is managed in a professional way by the Philippine military. The chamber can be reached in a two hours drive from the Dive Point Alcoy. We offer you also a yearly Aqua Med Dive insurance for a price of 45€. This insurance is valid right after your signature and includes the usage of the decompression chamber, medical activities, a travel health insurance without contribution and a length of 56 days per trip and a payment for repatriation in case of a disease. You can read the detailed conditions on the Aqua Med website. To ensure that you don’t need any of those services, please consider our deep limits and the generally approved dive rules. We use our two own pump boats which are made in a native banka style. We conduct the education dives and dive trips around the municipal area with your 12 meter long banka “Seaworm”. For our one and two day trips we use the 27m long banka named “Seahorse”. Our “Seahorse” has 6m broad platform, including a toilet and a kitchen. It has a 6 cylinder diesel engine with 150 PS and offers enough space for 15 fully equipped divers.